Its a breeze to whip up this creamy mix. Most likely you will have all these ingredients in your pantry. 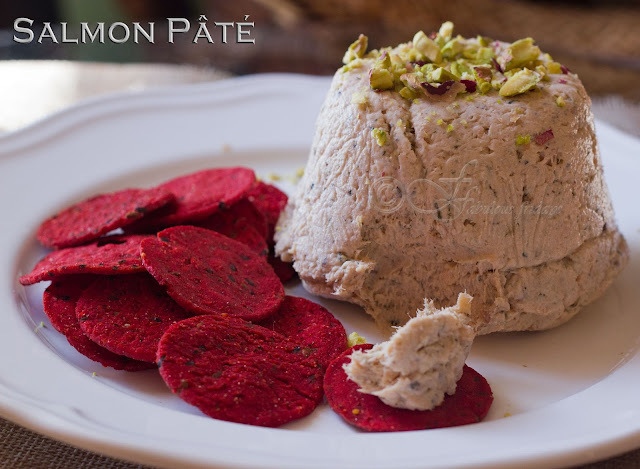 Salmon pate can be made with fresh poached salmon, canned salmon or even smoked salmon. Each tastes a bit different from the other. 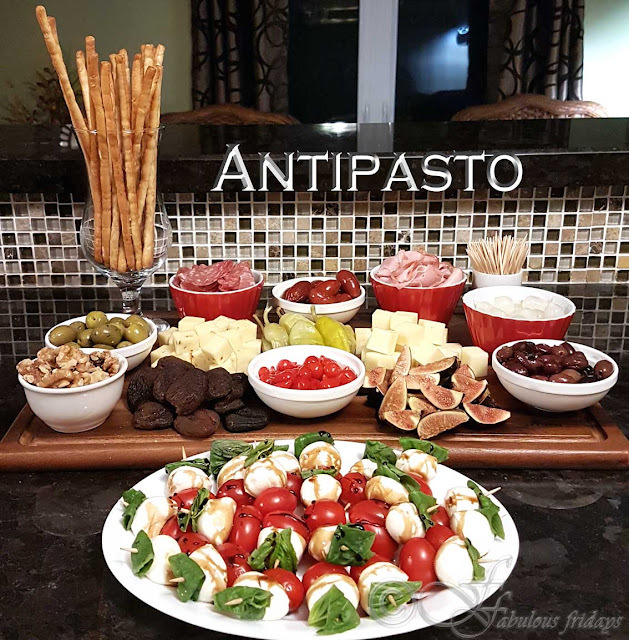 Garnish with your choice of topping and serve with crackers. I love adding chopped pistachios for their crunch. I also love the capers and parsley and onion combo - gives a crunchy garlicky taste. Great served as a dip or a starter. Spread it on toast with some alfalfa sprouts and rings of red onion for an awesome sandwich. Perfect for those summer picnics. If you are using fresh salmon then make sure its boneless and skinless. You can bake or poach the fish till cooked through. Cool and flake with fork. If using canned salmon then drain out and squeeze all the liquid, remove all the small bones. Then flake with fork. In a large bowl, add all the ingredients. Mix to combine well. Line a small serving bowl or dish with plastic wrap and spoon in the pate, pressing down firmly and smoothing the top. Cover and chill until somewhat firm, about an hour. To serve, unmold salmon onto a platter so that rounded side faces up; remove and discard plastic wrap. Garnish with your choice of topping and serve with crackers. I love the nuts as they add texture. I also love the capers and parsley and onion combo - gives a crunchy garlicky taste.